Rugby Baptist's buildings are used by the community as well as the church. The experience of our Brigade children illustrates why we felt a lift was necessary. 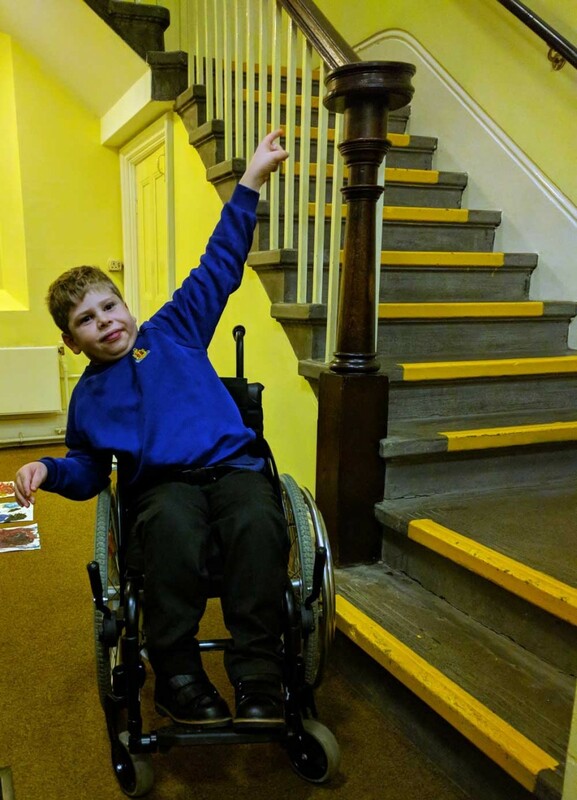 "They have welcomed Bobs and Ryan when other groups were fearful of taking children with such needs"
"The Baptist church has been a huge support for us over many years," says Rebecca, mum of Bob and Ryan. "Right from joining the toddler group over 18 years ago, through holiday clubs, Girls' Brigade and Boys' Brigade, not to mention family fun days and other events over the years, the church community has been a huge support for us as a family. They have welcomed Bobs and Ryan to Boys' Brigade when other groups were fearful of taking children with such needs." "Whenever wheelchairs have to stay downstairs, the boys also leave their independence behind"
All quotes and images used with permission.